Another five companies and one institution have joined the campaign of the Czech Ministry of Environment called #dostbyloplastu or “Enough of Plastics,” which aims to prevent and reduce the use of single-use plastic products. The news was announced by environment Minister Richard Brabec at a press conference on Monday. 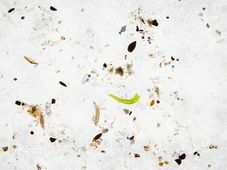 Photo: John Loo, CC BY 2.0 The campaign Enough of Plastics was launched in March of this year and so far it has been joined by seven companies, including Bageterie Boulevard, Ugo, CrossCafe, Leo Express, Dudes and Barbies, and Benzina. Now, another five companies and one institution have joined the initiative, including Lidl, Fruitissimo, Costa Coffee, Ikea, Starbucks and the Czech University of Life Sciences. 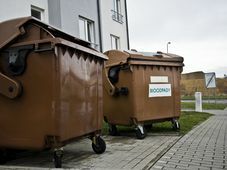 The Swedish furniture giant Ikea announced earlier this year that it would stop selling single-use plastic goods worldwide by 2020, while the Czech branch of the U.S. coffee chain Starbucks offers a discount for customers who bring their own cup. Meanwhile, the Czech University of Life Sciences in Prague plans to install drinking water fountains on its premises, which are estimated to cut the use of half-litre plastic bottles by 200 to 300 thousand a year. 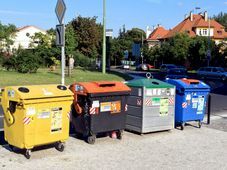 In the future, the Czech Ministry of Environment plans to involve administrations and municipalities in its drive to reduce single-use plastic products. 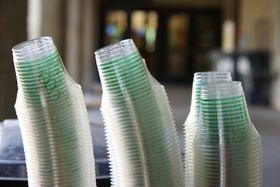 The ministry also supports an EU proposal to ban single-use plastic products which can be replaced by financially affordable products made from other materials. The European Commission proposes to ban single use plastics and put the burden of cleaning up waste on manufacturers in an attempt to reduce marine litter worldwide. The proposal, which still needs to be approved by all EU member states, also requires them to collect 90 percent of single-use plastic drink bottles by 2025. Earlier this year, Czech online grocer Rohlik.cz made a pledge to get rid of all single-use plastics by the end of the year and introduced a filter option which allows its customers to buy only plastic-free products. Several other Czech retailers, including Lidl, Kaufland and Tesco, have already pledged to stop selling single-use plastics such as straws, plates, cups and cutlery, as well as cotton buds and replace them with alternative and recyclable ones.